Have you ever been invited to a baby shower, or a sprinkle and not sure what to buy as a gift? I am at the age now where all of my friends are having babies, and while I love going to baby showers sometimes I struggle with good baby shower gift ideas. Sure, everyone knows a mom needs diapers and bath toys for their baby, but sometimes an “out of the ordinary” gift is in order. My best friend is going to be having a baby shower soon, so I need a gift that can really “wow” her! 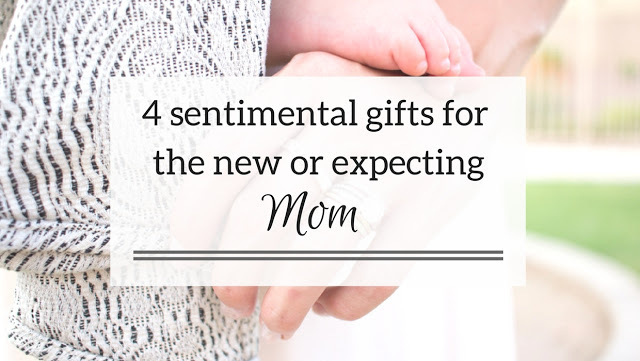 Enter these amazing baby shower gift ideas for the sentimental mom. 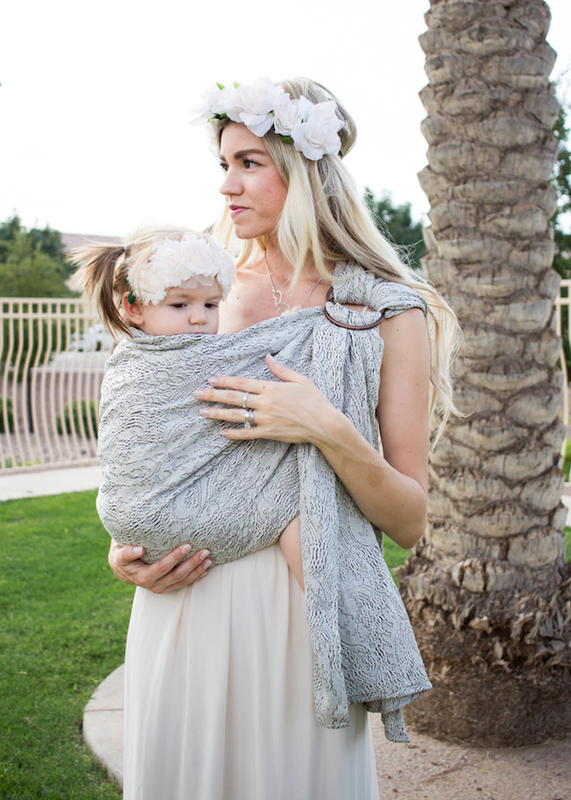 A ring sling or woven wrap. 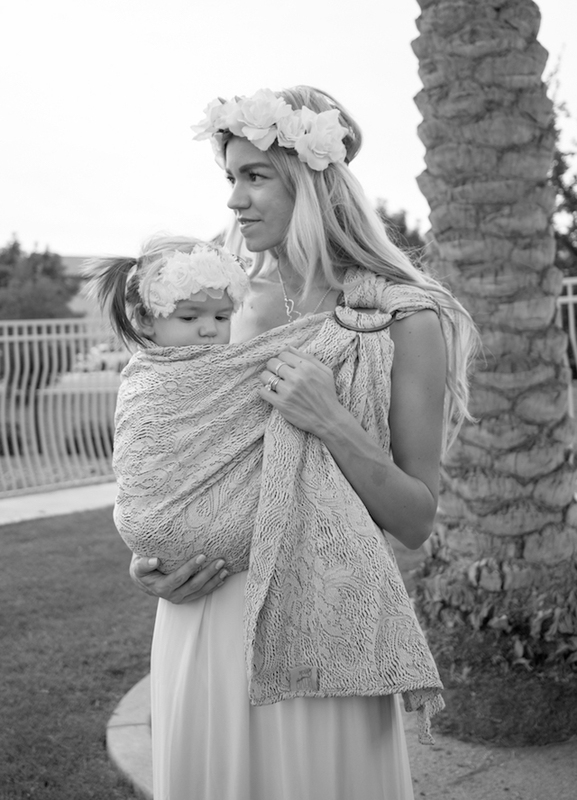 It’s no secret – I’m a babywearing fanatic. Every single person I know that’s going to have a baby will probably get a ring sling or wrap from me as a gift. It’s the ultimate gift. Wraps double as a blanket, nursing cover, baby carrier, and something to snuggle with! A personalized ring with baby’s name on it from Horsefeathers Gifts. I adore things that have Grace’s name on them. I will probably own a million ‘Grace’ necklaces, rings, and bracelets by the time she’s grown up! 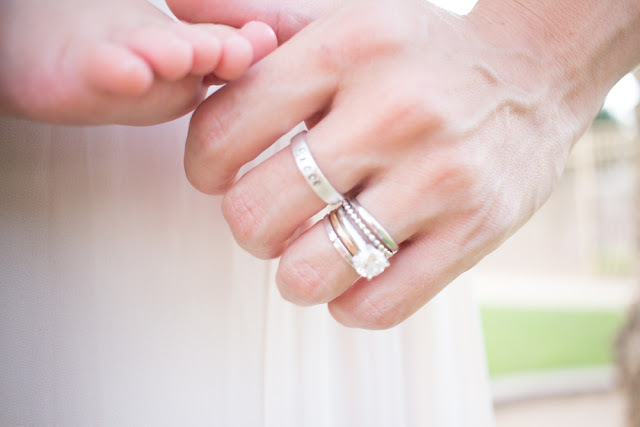 I like this personalized, hand-stamped ring because it’s dainty and goes great with my wedding stack! If you know the baby’s name, this is the most perfect and thoughtful gift, even for a pregnant mama. Also, husbands – take note! These gifts are great for Mother’s Day, Christmas, Valentine’s Day, etc.. Personalized kid gifts are the bomb.com. 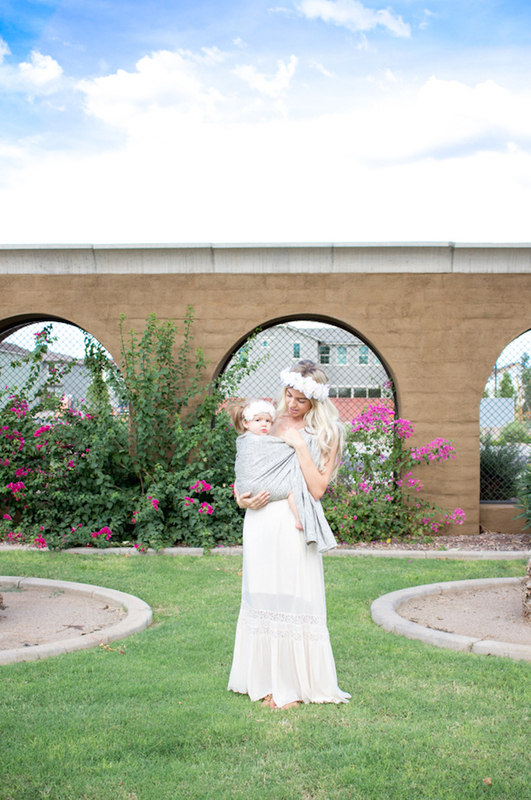 Professional Mommy & Me photos. Photos are something I cherish more than any tangible thing – especially now that they are electronic. I have the professional photos we’ve taken of Gracie and I, or our whole family, or just Gracie by herself on my phone background, my computer screen background, and hanging all over my house! Mommy & me photos, or a family session are unique and timeless gifts, and honestly are not that expensive. Mini-sessions start at like $50 for some photographers – it’s honestly a great gift, and if you’re in the California or Arizona area, I know some talented photographers if you don’t have one you would use. Most photographers are up for doing a “gift card” type thing for gifts, so look into it if that’s something you’d like to give to a new mama! Whether you pick out a babywearing ‘mama metal’ [mama metal is something that mamas wear that little ones can play or fiddle with while nursing or being worn – it’s proven to be very soothing to my babe] necklace or a cute birth stone item from HorseFeathers Gifts, a necklace is a special way for a mama to always think of her little one [especially if she has to go back to work after maternity leave]. I hope you enjoyed these baby shower gift ideas, and let me know if you decide to get anything for an upcoming sprinkle or baby shower! *Thanks to Horsefeathers Gifts for sponsoring this post. I will forever gift babywraps. They are just so sweet and special and HELPFUL. honestly these are such good and unique ideas. Seems like everyone I know is preggers and these are perfect. Oh this is great. My husband got me rings with our boys names and I have a necklace with their names too. I cherish them. And actually just got a good friend a ring with her new daughters name and she loved it. I have been into giving teething/nursing necklaces as part of the gift too. I'll have to chels out he metal ones.